We tend to complain about the fact that there are just too many mobile games that lack innovation. While this may be true, especially with the enormous number of clones that exist, it’s also true that there’s still hope. And titles like King Crusher are here to prove it. It’s an original game that mixes genres to transport you to a fantasy medieval world to fight against all sorts of evil creatures. If you love all things pixel, then your eyes will light up with the fantastic look of King Crusher. Its great pixel art design stands out from its very first moments of playing although luckily, it’s not the only great thing about it. The game is also amazing on a gameplay level. Your objective includes completing missions where you’ll face enemies on each and every screen. 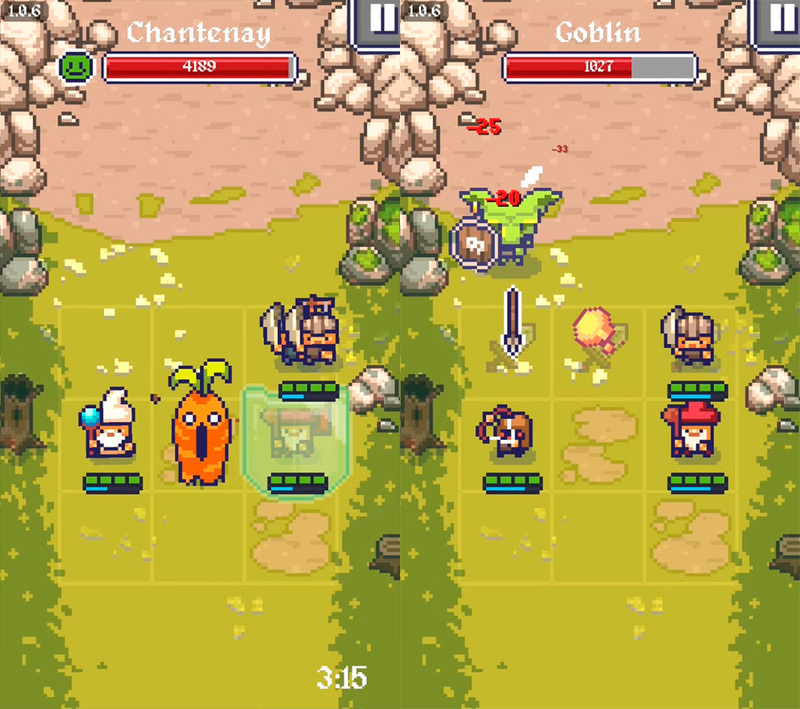 You’ll find real-time battles on a 3×3 board where you have three heroes, each one with different skills. The thing that makes these combats special is how they develop: you have to constantly move your characters around, since the square (or squares) where the enemy is going to attack will be marked. 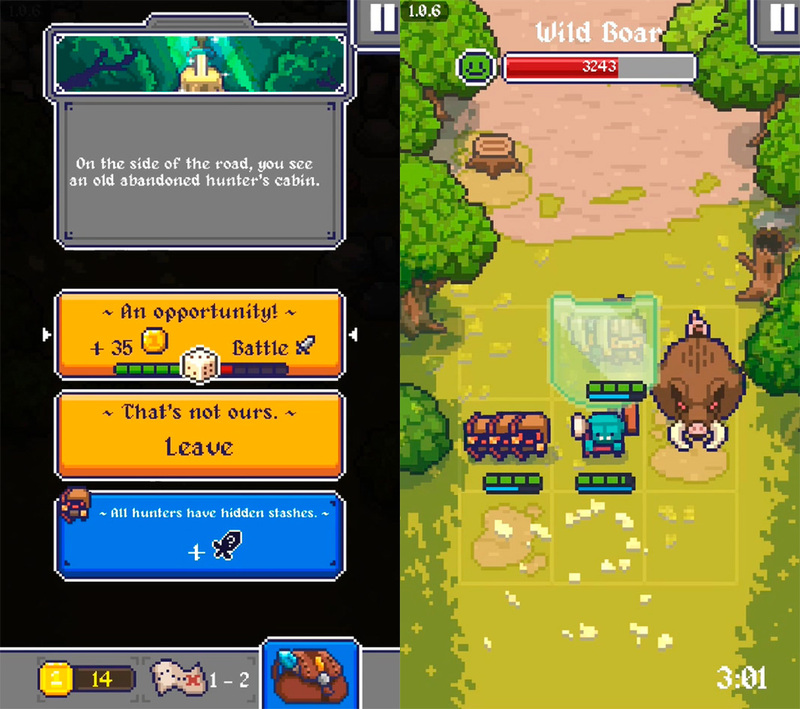 To do this, you just have to swipe on the squares —a natural move for mobile games. In the beginning, these attacks will be easy to avoid, but gradually, the difficulty will increase, along with the speed of the attacks. It’s a simple system, but that doesn’t mean it’ll be easy. You need to completely understand everything about your characters in order to win: each one has its own unique range of attacks. The warrior classes have to man the front line, while the long-distance attack units can stay in the rear. This is where your characters’ special abilities come in. 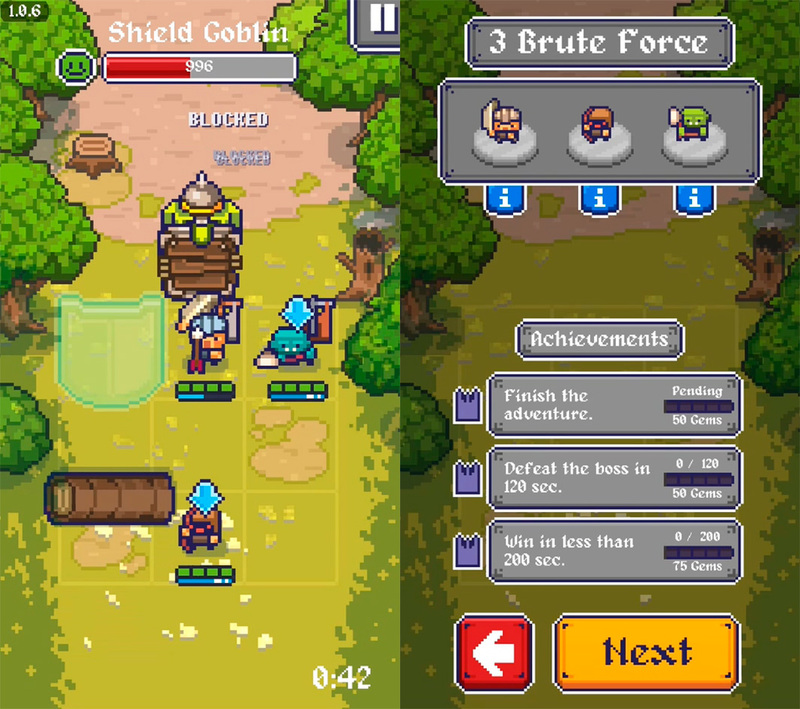 You can paralyze the enemy, create shields in a box, inflict powerful attacks, and more. This abilities will load during in each battle, although you can load them sooner if you collect items. You’ll discover the pros and cons of each character as you advance, given that before each mission, the game will tell you what type of characters you have to add to your ranks. 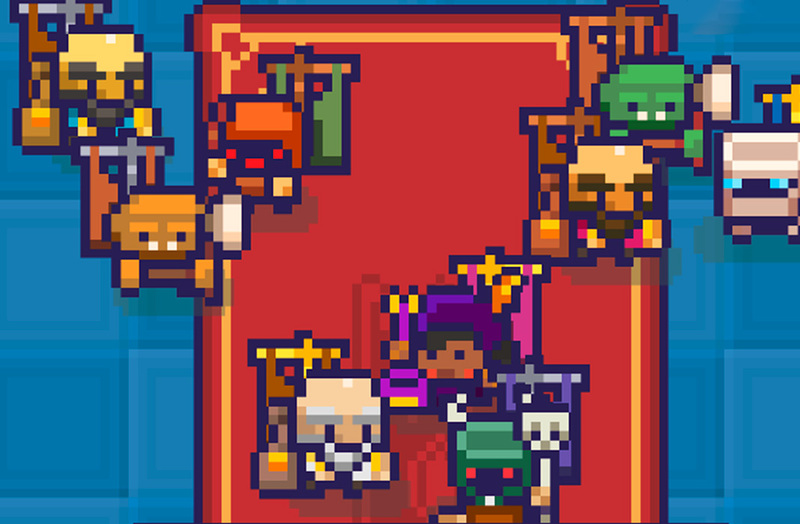 King Crusher is an excellent melting pot of genres where you’ll find traces of role-playing, arcade, puzzle, and more. The truth is that this game has surprised us thanks to all the qualities we’ve already mentioned. But on top of all that, it also has small events that add a sort of narrative to the game that you can solve by choosing one of the options the game provides. And yes, we may be a little repetitive with our love of retro games, but it’s hard to resist graphics that are this charming.